At first, one might think this a re-make of M (think about it…) but in fact it is the re-make of a French film about a town in Quebec victimised by a series of poison-pen letters. These seem to centre about the new doctor (Michael Rennie), an Englishman who is tight-lipped about his past. The town becomes suspicious as to the author of the letters, and feelings run high, especially after a young man commits suicide following the reception of one of the missives. This film was not a success. Firstly, there is the problem of the mystery. I think the writer (Howard Koch) wanted to create a story that would have been well directed by Alfred Hitchcock. Unfortunately, there is little suspense. The feeling of growing paranoia among the town is not really conveyed. The townspeople seem annoyed by the malicious letters, rather than frightened. Preminger is reckoned a good director, but I suspect that his vision of the film and the writer’s were at odds. Then there is the inevitable love-story sub-plot. 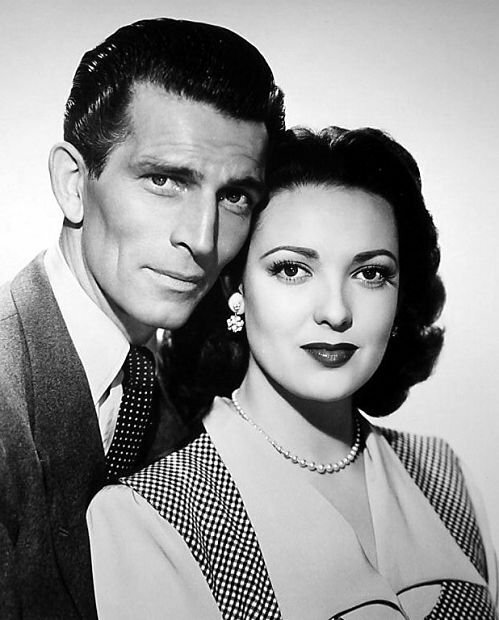 In this case, it is between Rennie and one of his patients (Linda Darnell). Theirs is an off/on/off/on affair, though why it exists at all is a mystery. There is no chemistry between the two and no hint as to why they find each other attractive. That I didn’t much care for any of the characters reflects the writing and direction more than the acting. The tragedy of the suicidal war-hero barely affects the viewer, for instance, simply because we are not given the opportunity to know him. Then there is Rennie’s hobby. He collects old and expensive time-pieces. There is no explanation given for his interest in these items. 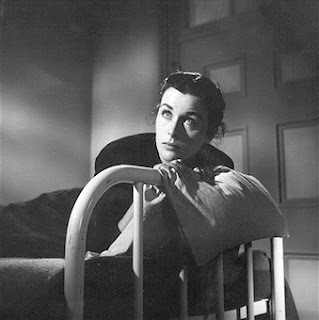 It need not be necessary to elaborate upon every character’s pastime in a movie, but, since a conversation is held regarding the clocks; Rennie’s interest in them is cited, and it is intimated that they are costly enough to require a private income, the viewer is led to believe that they are important, if not to the plot, then to Rennie’s character. But we are told nothing about the clocks nor about their collector’s interest in them. For that matter, why is Rennie living in one room of a boarding house when he is clearly wealthy enough to rent or own a house? These are threads of the story that the writer dangles but never ties up. The acting is good. Charles Boyer does very well, portraying someone in advance of his 53 years at the time, while Constance Smith gives an involving performance as Boyer’s young wife. The supporting players are all capable. Michael Rennie himself, however, has always struck me as someone whose on-screen demeanour fitted him for supporting roles, rather than those of a leading man. 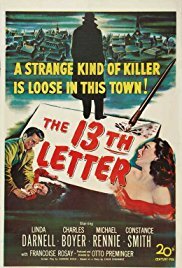 Even so, the fault with The 13th Letter is in the writing and direction, two elements which not only don’t seem to jibe in the movie but are, alone, lacking. The viewer would be better to read Agatha Christie’s book The Moving Finger which deals with the same subject, but more entertainingly. You have intrigued me. I read every word with interest. I doubt I can see the movie but if I could I would enjoy knowing f I came away with the same thoughts. good review and thanx for the honesty John. I have typecast Michael Rennie to always appear in Sci Fi; The Day the Earth Stood Still; the two episodes of Lost in Space; The Keeper; along with a few others...probably because I seem to be stuck perpetually in the Sci Fi groove and never venture out of it...I know he's played many a role during his career; I need to brave forth and check out some of his other work ! I liked Rennie in "The Day the Earth Stood Still", of course, that film being a classic. I think his aloof reserve worked well there. I have never seen him in the tv series based on "The Third Man", but it ran for six years in the early 1960s, so he must have been reasonably popular in it. His co-star in that series was Jonathan Harris, who played Dr Smith in "Lost in Space".